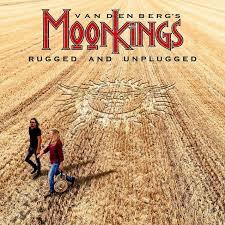 ‘Rugged and Unplugged’ is a stripped back acoustic album which features songs from Adrian Vandenberg’s career. ‘For me, the sign of whether a song is good or not, is whether it still stands up when its completely stripped down to the bare essence of it’, says Vandenbergh, and I for one categorically agree with this statement. He continues, ‘What I find with acoustic versions of songs you already know, is that they can touch you in a different way than the full band and even orchestral versions. You don’t get ‘impressed’ by big guitars, drums and even orchestras. As a performer you can’t hide behind all that, so whats left is the emotional content of the performance of the actual song’. Back in the early 90s, Tesla took a steal on the market and brought out their ‘Five man Acoustical Jam’ and it was awesome. But then, every bugger was at it, MTV went through an unplugged phase and there were some cracking performances – Queensryche and Pearl Jam being personal faves. Its taken a back seat of late, but I'm happy to see someone give it a go and revive the format. Basically, despite Adrian Vandenberg having a decent back catelogue, most of the songs are Moonkings ones, with only one Whitesnake song (‘Sailing Ships’) and one Vandenberg song (‘Burning Heart’, obviously) making the cut. Jan Hoving’s vocals still sound as if he’s singing a full electric vocal of ‘What Doesn’t Kill You’, but I wont hold that against him, and he has a nice tone and timbre to his sound. ‘Sailing Ships’ is where most will draw comparisons as he is singing a Coverdale song, and the very first line of ‘Sailing Ships’, you know Coverdale’s legacy is in good hands as Hoving even sounds like Coverdale, not too much, but just enough. This is a Whitesnake classic, and is performed very well indeed, but its Coverdales blood running through it and few can match the master for tone and quality. Its almost the same version that is on the Moonkings debut album, and it does make you hanker for the original. ‘Burning Heart’ is the other biggie on offer here. Its stripped right back to the bare bones and does fall on Hoving’s emotion to carry the lyrics. ‘Out Of Reach’ isn't a great deal away from the original, so why not pick something that would be better suited as an acoustical interpretation. I’m beginning to see a pattern, an acoustical album based on songs that are not too far removed from the original! ‘One Step Behind’ and ‘Breathing’ are the first songs I can really get behind acoustically as they are different from the originals, but there should be more like this, surely? Up last is a brand new song, ‘Sundown’ - you guessed it, a 90 second acoustic instrumental. For seven songs, and a new one, I was expecting a little bit more.